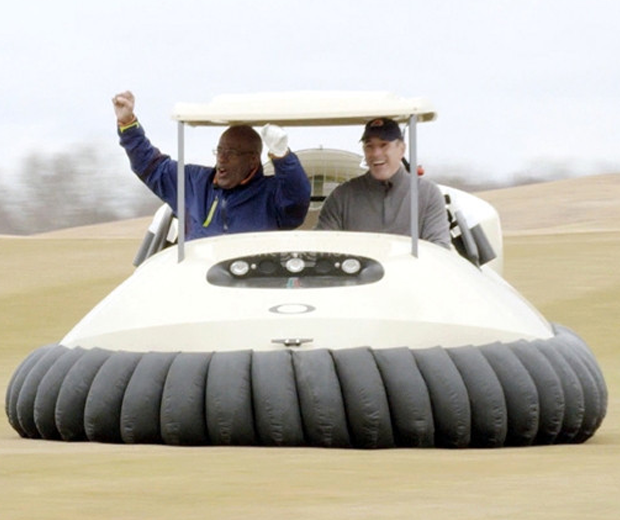 Finally, Donald Trump can go golfing in Puerto Rico. 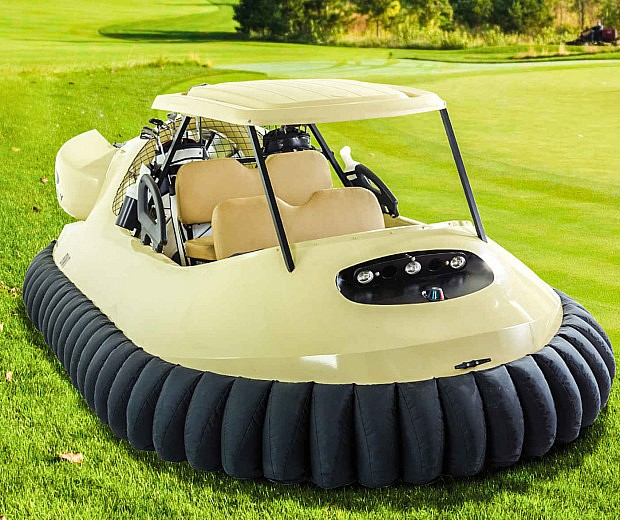 This Hovercraft Golf Cart glides over sand traps and water hazards with ease, and to be honest it would probably clear a small man if you weren't bothered about the consequences. 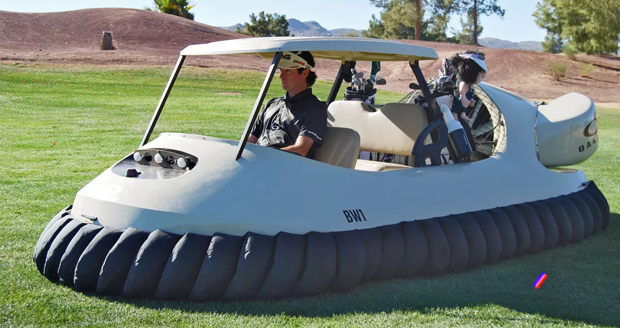 With a top speed of 45mph forwards and 25 mph backwards, this vehicle is capable of whisking you away from tragedy and back onto hole nine in the time it takes to criticise a nation's relief efforts.